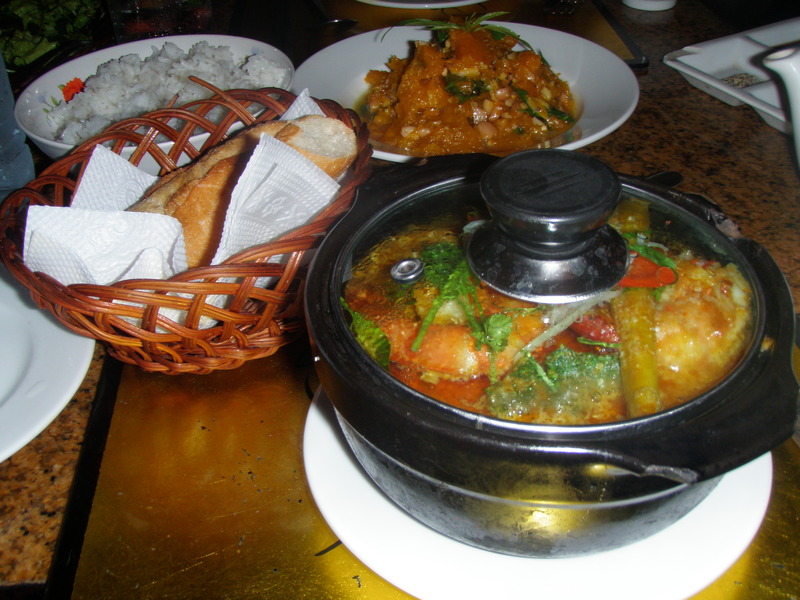 My Top Vietnamese Eateries And Food Finds – Why Waste Annual Leave? 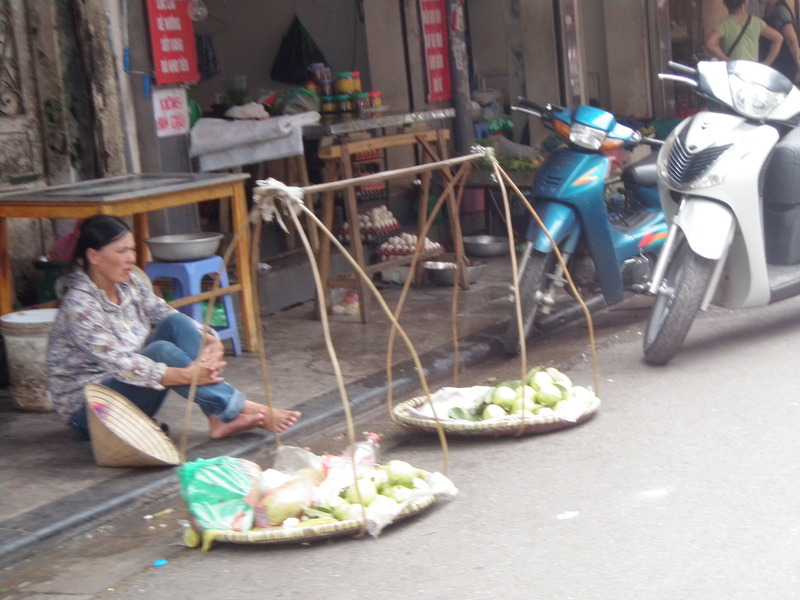 Food is a huge part of Vietnamese life and nowhere manifests this better than the streets. The scents waft through your nose and bring out an appetite you didn’t realise you had. Barbequed chicken skewers, deep fried banana and coconut pancakes, white rose dumplings, Bun Cha, Pho, steamed rice paper rolls (Banh Cuon) can be found on every street corner and dotted along roads. Some have small stools to perch on, some don’t. Some seem frequented by tourists, many don’t. You feel a huge burst of optimism walking past the streets. Put simply – everyone seems happy. We saw a family picnic happening on the street, a stone’s throw away from 4 men, crouched on the floor, adorning cigarettes, laughing cheekily, unwinding over a game of Mah Jong. The sound of drumming on trucks led us to the sight of 3 young children, running and playing together with dragon masks to celebrate the Mid Autumn Festival. I usually come home from a holiday desperate to eat something completely different to refresh my palate – I returned home from Vietnam craving Vietnamese food and so I wanted to share some of my favourite food finds from this culinary delight of a nation. It’s not easy to accredit individual roadside food stalls by name so think of the Vietnamese street as a food institution in its own right! With not much planned for the first day and with a number 1 rating on Trip Advisor, I was not expecting to bag a dinner reservation within a few hours of wanting to go but a couple of quick emails later, we were there. 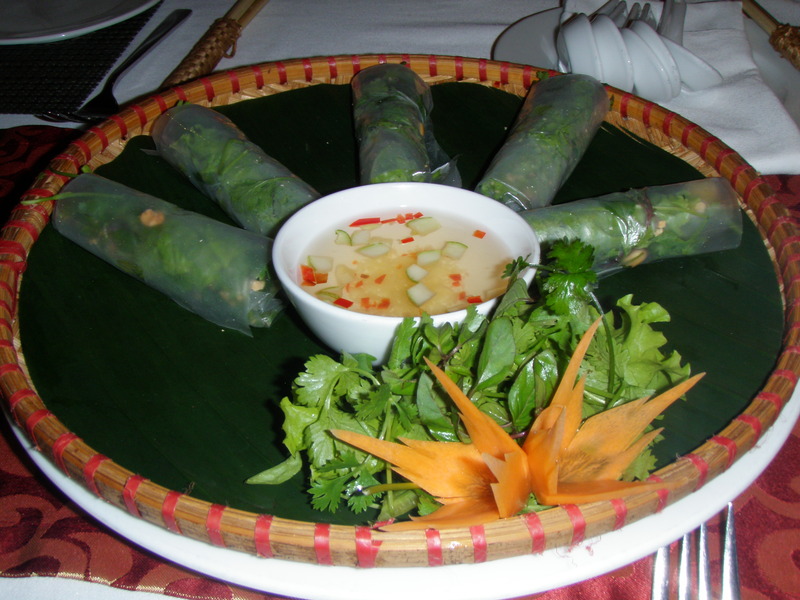 If this was to be our introduction to Vietnamese food, then we were in for a treat all week! 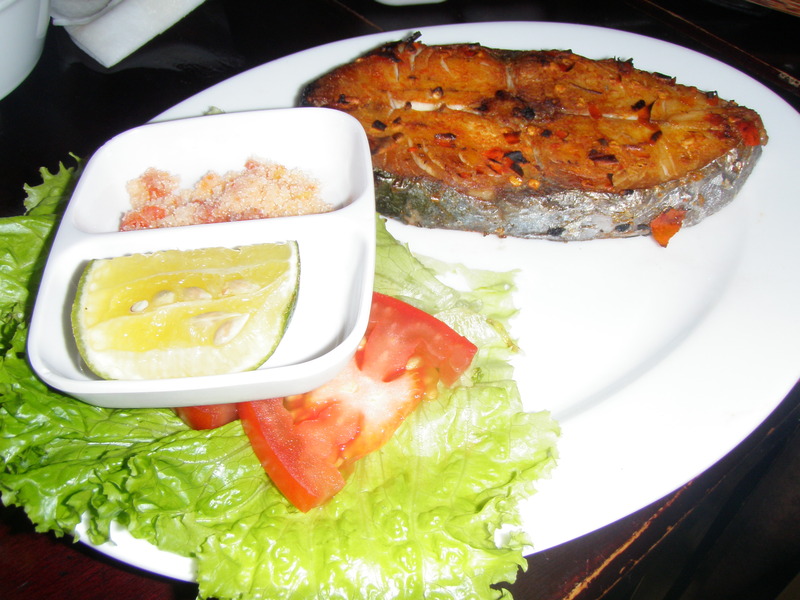 From Pumpkin’s grilled seabass wrapped in a banana leaf to my tempura fish in a sweet orange sauce to the more standard fare options such as Pho with chicken, the flavours were mild but wholly flavoursome. 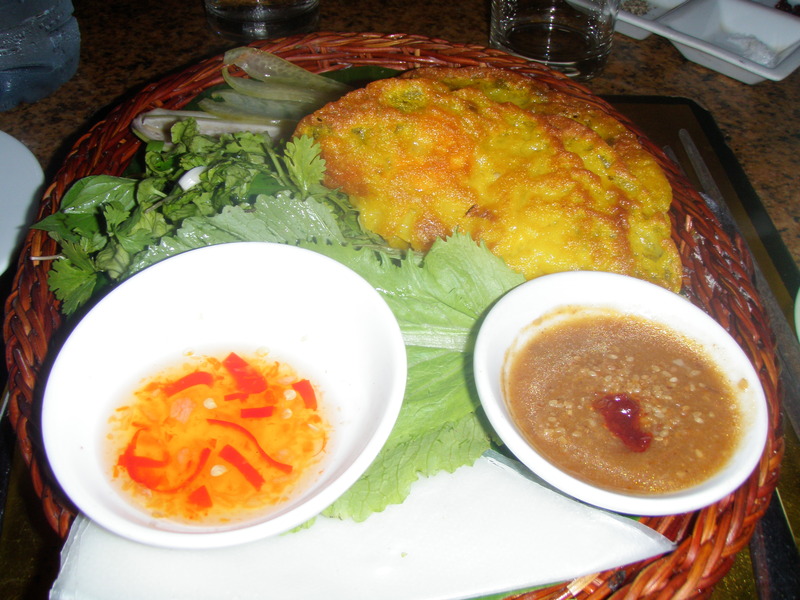 The sweet /chilli combination of flavours, which feature heavily on most menus in Vietnam, are rife at Essence Café and a give a zingy burst on the tongue, initially with a citrusy tang before the spice starts to dissolve. 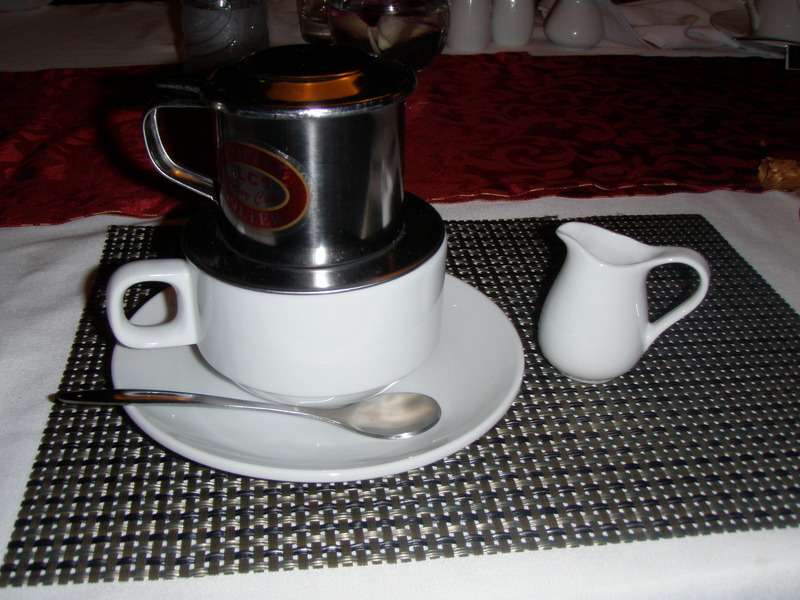 A Vietnamese coffee (or Vietnamese drip as they sweetly named it here), which for those unfamiliar is a coffee (hot or cold) but with lashing of condensed milk completed my meal nicely. My caffeine-naivety together with the jet lag meant I was bordering on ADHD tendencies at 3am and an unhappy Pumpkin..The food was outstanding but if it is possible, the service even more so with the warmest-hearted staff who taught us a lot about local Vietnamese culinary customs and all for less than the cost of Nandos back home. Think of a cross between Street Feast London and a shopping mall food court, now add in a crowd predominantly full of locals and you’ll find yourself at this huge bustling restaurant, illuminated by hanging lanterns and enough gastronomic material to occupy a food critic for a year. We were seated upstairs as we arrived at peak time, which was a bit of a shame as all the action happens downstairs. Stall upon stall of street food vendors are parked, preparing fresh street food. Menus are brought to you or you can wander around and see what tickles your fancy. 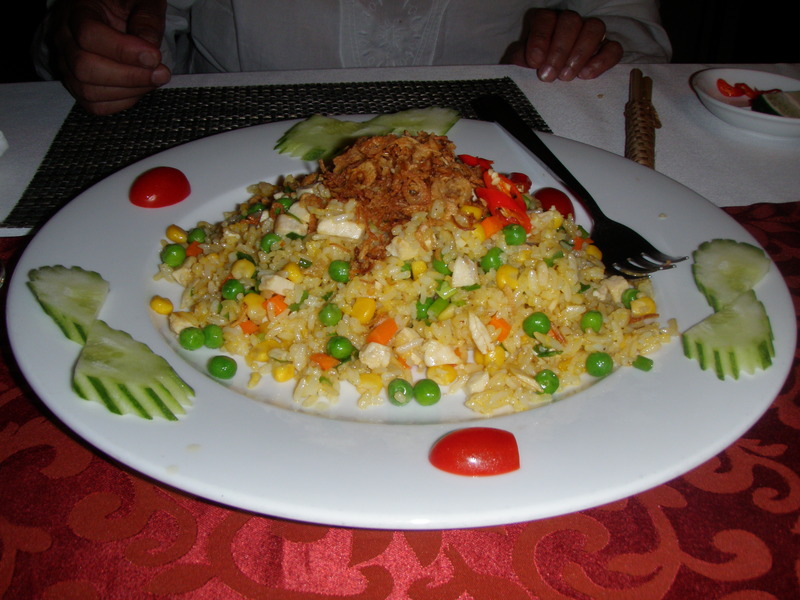 Translated menus are available and allow yourself ample time to order as menus are vast. Things aren’t laid out as starters and mains, which left us a bit confused as to how much to order. Start with a few small plates and order more as you go along. Highlights included Pumpkin’s tapioca rolls with shredded pork and shrimp, which had a strangely intriguing, spongy outside with tender meat in the middle. 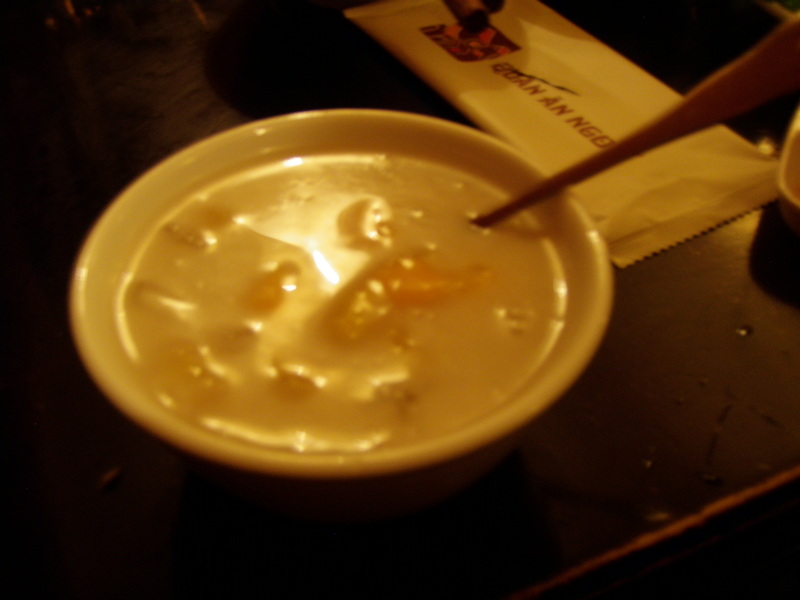 As usual, I managed to find a crevice of space in my satiated stomach, which I filled with sweet potato Che, a warm and creamy Vietnamese dessert soup. Mum’s steamed “vegetarian” dumpling which actually had nothing in it and was just cooked in vegetable broth won gold for worst order of the night – a complete anomaly though as the food was outstanding, definitely the most authentic of all the meals we had and we visited it twice during our short 3 night stay in Hanoi. 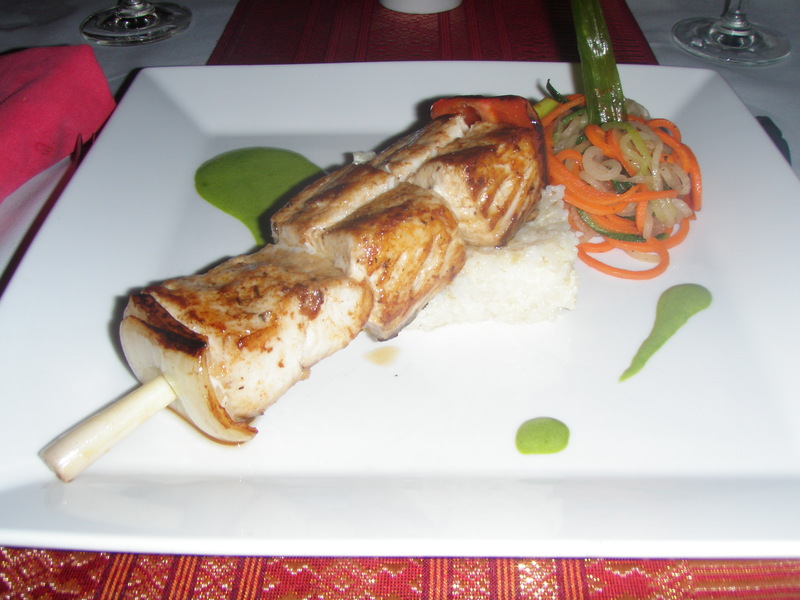 With a 2nd branch in Hoi An, Green Mango will appeal to lovers of the fusion genre. 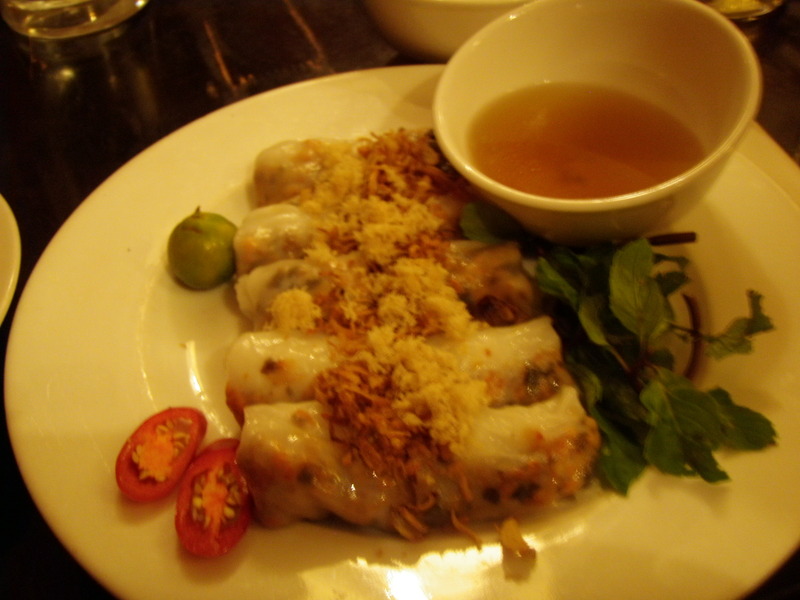 Vietnamese features on the menu but the majority are twists on Western classics. This was a pricey restaurant by Vietnamese standards but still a bargain by standards back home. I took the stance that I would order the most unusual unique items on the menu, which resulted in grape covered in goats cheese and cashew nuts for starters, sea bass topped with cashew crust with a passion fruit and ginger jus and chocolate fondant filled with walnuts, raisins, warm grape, served with raspberry coulis, fresh strawberry and crème anglaise. Not necessarily what you would call Vietnamese classics but novel, unique and refreshing and worth a visit if you are doing a 2 week stint in Vietnam and fancy a day off Pho. The in-laws had recommended this well-renowned restaurant to us after their trip to Vietnam last year but it would be difficult to complete a stay in Hoi An without hearing about it in any case. This is Hoi An’s answer to a Vietnamese street food cafe and the founder of this restaurant seems to have something of a monopoly in this city, owning 3 restaurants, a famous cookery school and even a published recipe book. I felt a paradox between the authentic Vietnamese street food experience that is advertised and the walkie-talkies used by staff, computers at the front doors and rapid turnover time to accommodate for queues of hungry diners. On the real streets of Vietnam, locals seem laid back and at ease; it is the aromas that stretch for miles and not the queues of tourists. There is an inexplicable simplicity and the time taken to enjoy food and company seems endless – this for me, was the real street food experience and I’m not sure that Morning Glory encapsulates that essence. 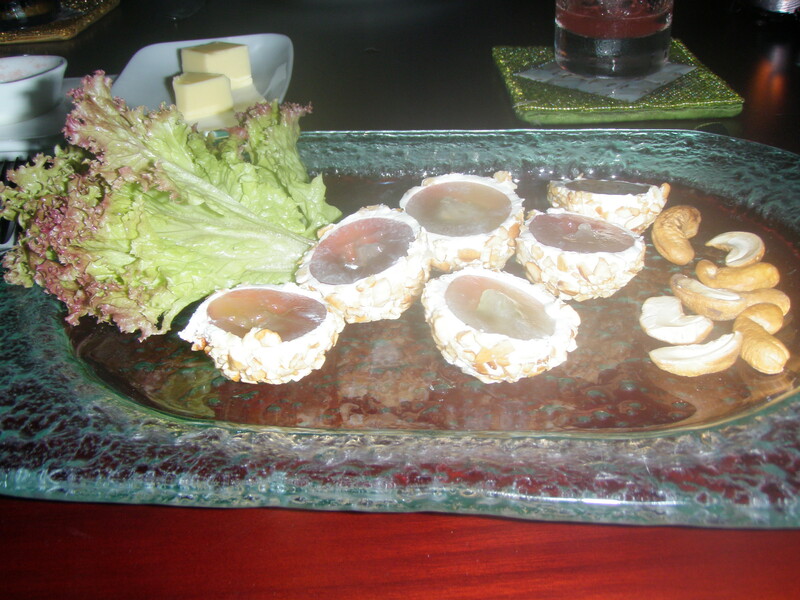 Having said that, I cannot deny the quality of the food and would have regretted leaving Hoi An without sampling it. The portion sizes are huge and the food is extremely good value for money. From BBQ pork with rice paper, which you are taught to roll yourself to the Hoi An Pancake, a delicious deep fried flattened wonton served open with a topping (bears no resemblance to the Western definition of a pancake) to the fish served in a clay pot, each of our dishes were scrumptious, hugely filling and our bill came to the equivalent of £8/head (without wine) so with hot, fresh food of that standard and bargain prices, it’s simple to see why they have found a winning formula. 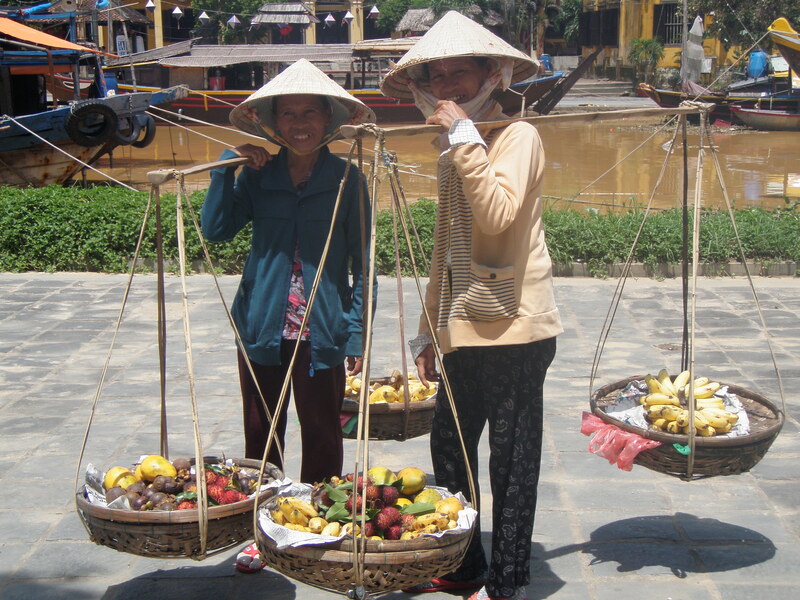 Have you been to Vietnam and discovered any food highlights that I missed on this trip? Feel free to share your own suggestions and recommendations! There’s a Vietnamese supper club Ad and I been meaning to go to for like over a year … Leluu they also do cook class, maybe we try go there together? 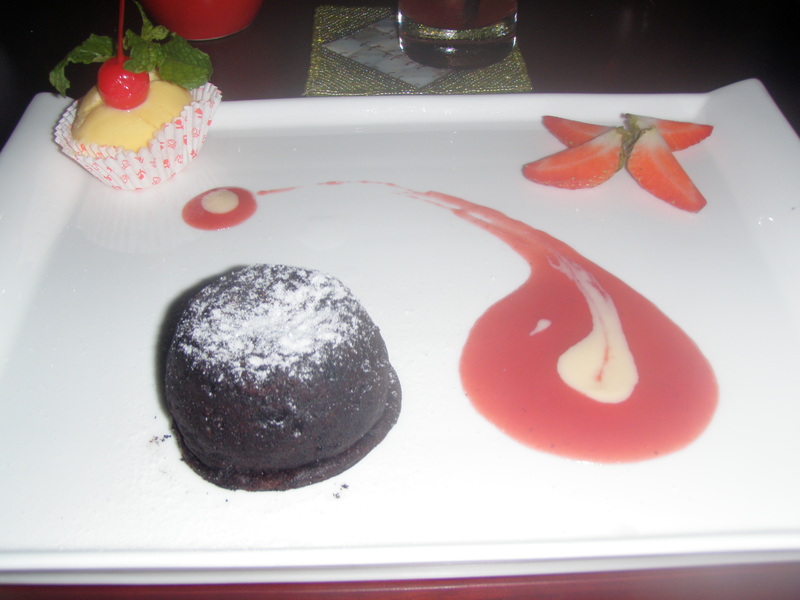 Pingback: A Gourmet Three Course #TasteofTravel Menu with Celebrity Cruises | Why Waste Annual Leave?